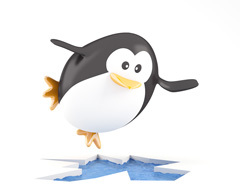 Google Penguin 3.0 Shuffle Starting Back Up Again? Home > Google News > Google Updates > Google Penguin 3.0 Updating Again? Google launched Penguin 3.0 late Friday night and we have a lot more detail on it now, including that it should be rolling out for the next few weeks now. Late Saturday night, the Penguin update seemed to have settled down. Many thought it wasn't done and those assumptions were indeed correct. Google told us it wasn't done. But it was partially done because the fluctuations stopped then. It seems that some savvy SEOs are noticing an uptick in ranking changes yesterday, maybe more so in the UK region. Its definitely still rolling out, 10% down on this time last week per hour. Agreed. Are you in the UK? I think it's starting to look better after nearly a full week of shuffling. It is definitely still rolling. Some sites are popping in and out of first page on long tail keywords since Tuesday in the niche I monitor. Anyone else seeing big movements in the long tail keyword part of their serps? Although, the folks in the Black Hat World forum are not really talking much about it starting back up yet, which is weird. Did you see any changes this morning? The various rank checking tools are all pretty stable with high readings but Penguin updates don't often show up as much on these tools. @rustybrick OK, now a third that saw a lot of positive movement yesterday. This site saw a big increase on 10/18, but more on 10/22. Update: Even stronger reports of more fluctuations around Penguin hit sites on Friday, October 24th.